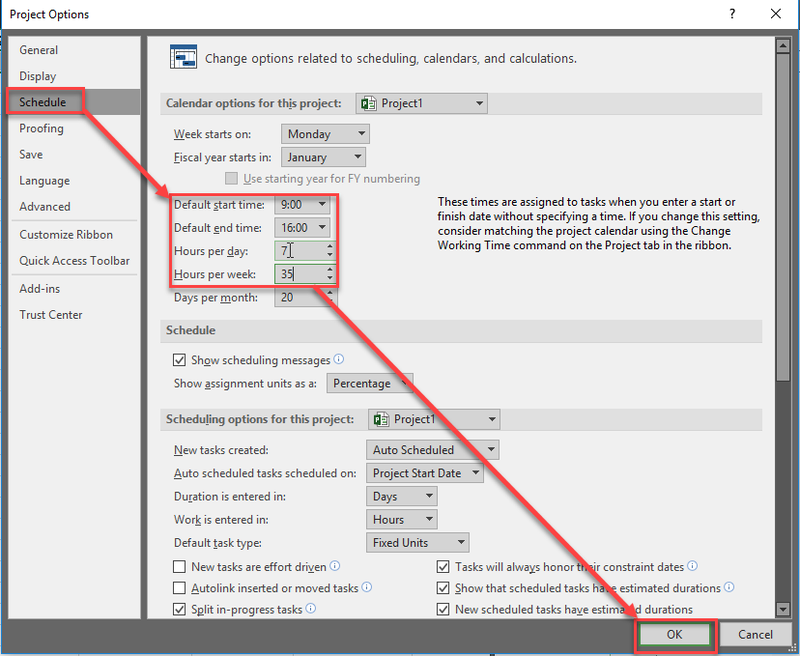 “Real” daily work on Tasks in MS PROJECT 2016! today I’m going to deal whit one significant question which basically has many answers, or none. How many hours to assign to Resource per day? As you can see, John is supposed to work from 08:00 AM to Noon, then he has a break (1 hour), and then he is supposed to work from 1:00 PM to 5:00 PM, e.g. he is supposed to work 8 hours per day. Let’s face it! No one will work all the time. During your work each and every day, you have to go to the rest room, you will grab a cup of coffee or tea, you will make few phone calls, you will be interrupted from your coworker, boss, name it! As you can see my working day is 7 hours per day! 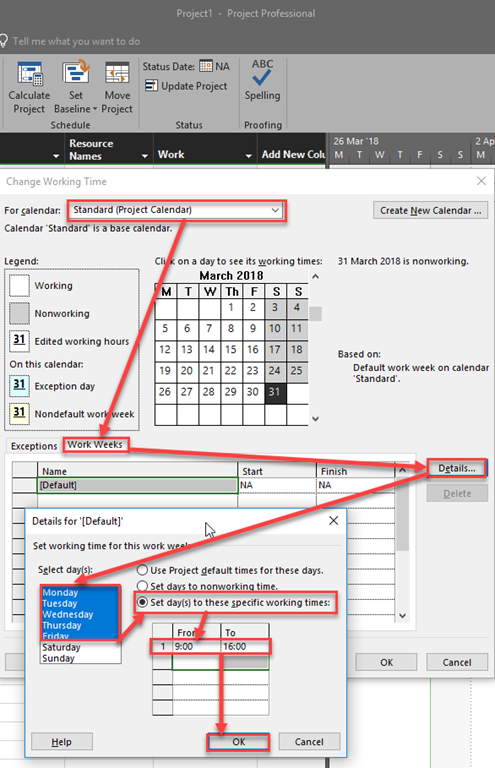 As you can see, Duration is now 5,71 days, and john will work 7 hours per day from Monday to Friday, and the remaining work of 5 hours will be done next Monday. And Duration? It is 5 days (from Monday to Friday), and 5/7= 0,71 day! Why I use this approach? Because it is most realistic. I know that john will work 7 hours max on a Project per day! I know how many hours do I need for the Task. And Duration is calculated! I this case John is overallocated, which is perfectly logical. So, you should choose your own approach to deal with this “problem”. Every one is good one if it suits you. 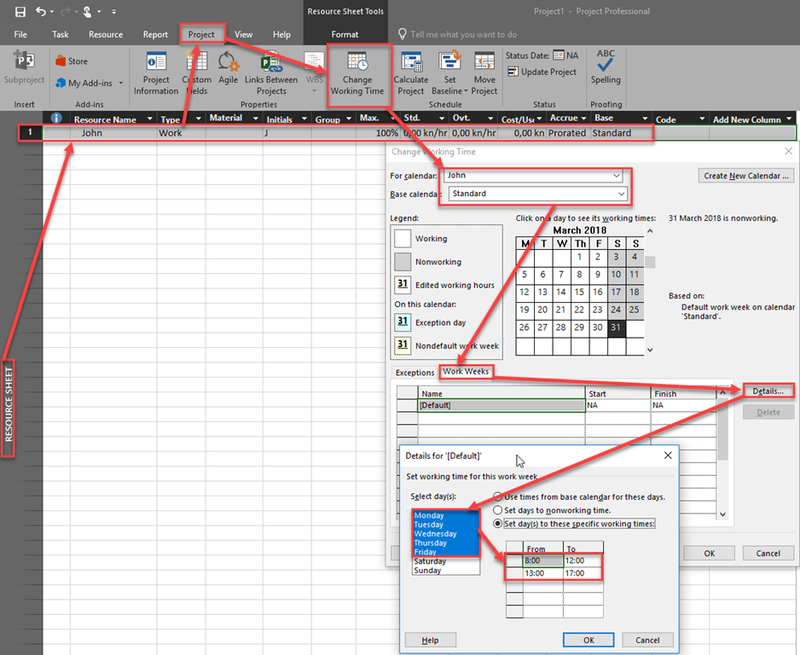 This entry was posted in MS PROJECT 2016, PMI, PRoject Management and tagged Micorosft Project 2016, Micorosft Project 2016 - Resources, Microsoft Poject 2016 - Work. Bookmark the permalink.